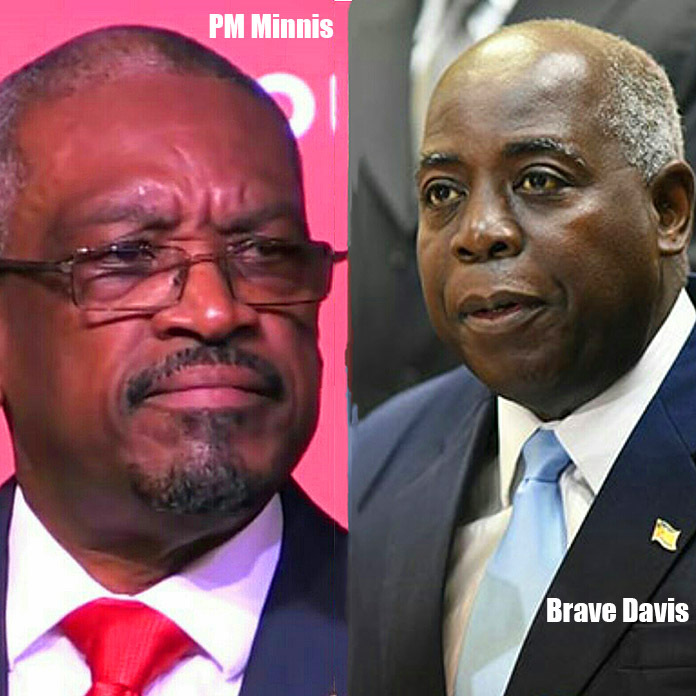 PM HUBERT MINNIS AND Opposition Leader Philip Brave Davis Q.C. Notwithstanding the Prime Minister’s penchant for insulting the messenger while being derelict in his official duties by dodging questions on important national issues such as the investigation in the BPL board, Prime Minister Minnis must explain the reasons and justification for the sharp 70% hike in electricity cost. Further, the Prime Minister must say whether or not the statutory regulatory authority, URCA, was involved in granting the approval for the hike. Higher fuel cost is being blamed for the rate hike. The facts are that the average price of crude oil per barrel was in 2017 was $52.51 and the current cost is just over $60 per barrel. The record shows that BPL suffered several fires recently due to a lack of equipment maintenance and if this rate hike is to pay for leased supplemental power generation plants and other connected expenses, then this is not a fuel cost issue – this a mismanagement issue. The Voluntary Separation Package (VSEP) was another expensive policy failure that will have to be borne by the taxpayer. This too is not a fuel cost issue but one of gross mismanagement. It is wrong for the tax payers and BPL customers to have to pay for the redundant missteps, errors and mismanagement by this intransigent and myopic government. If the government is not up to the task, then the solution is to replace this government with one capable of managing the energy sector and necessary attendant reforms. The PLP is willing and able. During the governance of the PLP in 2012, electricity rates hovered at or around 41 cents per KW. When we left office in 2017, the rate had dropped to around 30 cents even as the average price of oil increased. The strategic business plan left in place would have further reduced rates to or at around 21 cents per KW by 2021 or even cheaper. The FNM in its infinite wisdom and believing their own false propaganda and hype scrapped those plans – replacing it with a ball of confusion by politically interfering with the work of the Board and a questionable management team. Bahamians are angry and frustrated about the government’s poor handling of BPL to date and rightly so. Since coming to office this government has never been forthright with the Bahamian people concerning BPL. The PLP stands with the Bahamian people in their outrage over this latest burden placed around their necks. We do not support the government on this latest unjustifiable rate hike. Next articleFinance to send Tonya Adderley and Finance team on world tour to Australia – each ticket costing taxpayers $9,000 each!